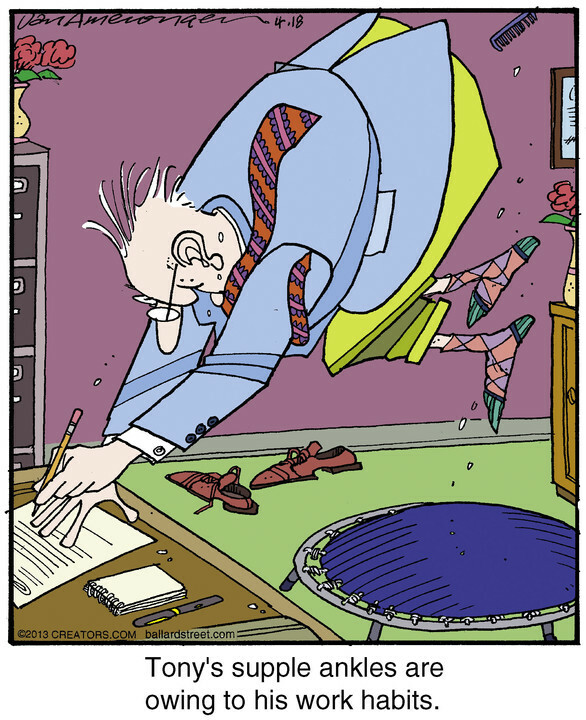 From 1980 to1990, Jerry Van Amerongen’s zany revolutionary cartoon panel, The Neighborhood graced the comic pages of newspapers across the country. Along with Gary Larson’s The Far Side, it redefined the single panel gag cartoon with short doses of sophisticated and surreal humor. For creative reasons (and maybe a few contractual reasons as well), Van Amerongen discontinued The Neighborhood and began Ballard Street in 1991. 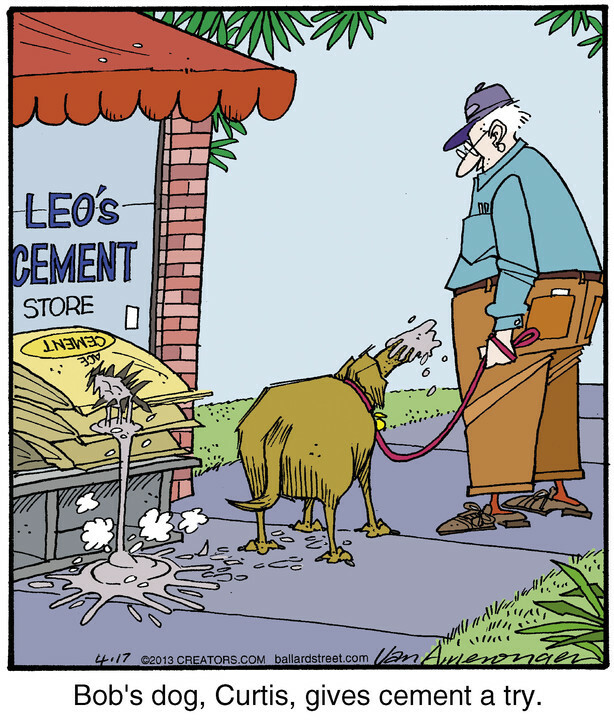 It ran in strip form for nearly two years before returning to the single panel format, which seems to be a better vehicle for his humor. Jerry was born and raised in Grand Rapids, Michigan. He spent the first 17 years of his professional life in corporate sales, marketing and product management, coming to cartooning at the age of 40. Jerry’s cartoon ideas come from scribbles and drawings as often as they do from preconceived ideas.The drawings themselves rely on facial expressions and body postures to give readers additional information beyond the caption, providing the motivation behind the action. Boyhood memories shaped by the ethnic influences of his Dutch and Polish heritage, images of roly-poly women in print dresses and rotund men in baggy trousers, shape the look of his characters. “Regardless of our physical appearance, we see ourselves as having wrinkles and rumples on the inside. We all perceive ourselves as having big bottoms”. In April of 2004, Jerry’s Giclee Prints and some original pieces were presented during a one-man show at the Every Picture Tells A Story Gallery in Santa Monica, CA. 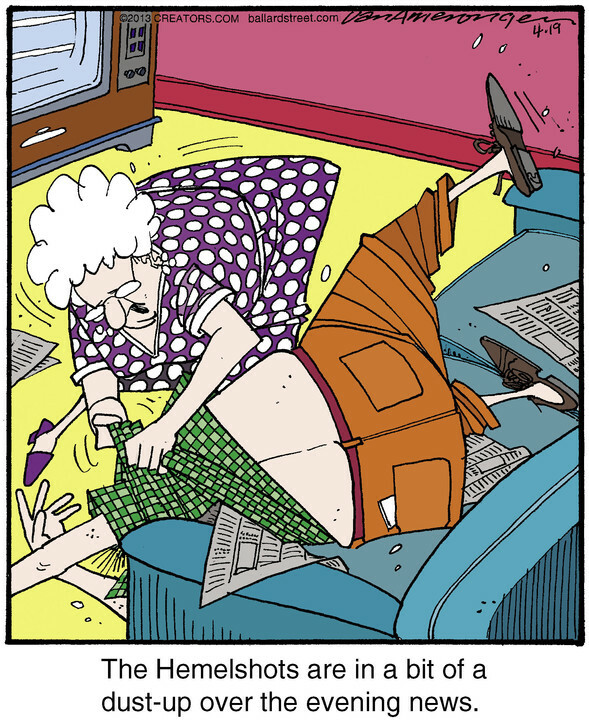 In May of 2006 Ballard Street was awarded the Best Newspaper Cartoon Panel Of The Year Award by the National Cartoonist Society. Ballard Street was awarded the same honor in 2004.